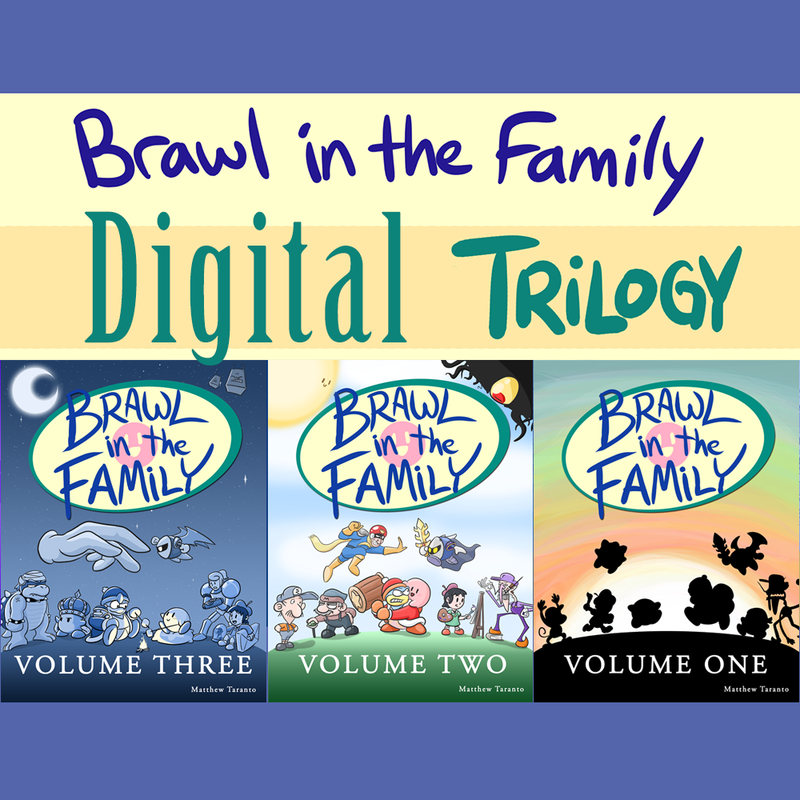 Includes all three digital editions of Brawl in the Family! 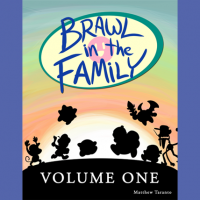 Brawl in the Family: Volume One contains 192 high-quality pages covering the first 200 Brawl in the Family comics…plus the first 35 Waluigi strips! Includes tons of extra stuff, such as commentary on many of the comics, mouse-over text for every strip that had it, special behind-the scenes features, detailed character explorations, a colorful ten page poem/story, and much more. 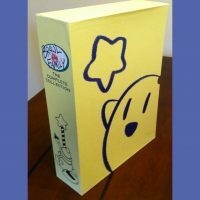 The glorious Volume Two weighs in at 244 pages and contains comics 201-400, including all of the extra Waluigi strips as well! Whether you want ’em or not. Volume Two contains some of my all-time favorite BitF moments! Brawl in the Family: Volume Three contains comics roughly as large and in-depth as Volume Two’s, with the final 200 strips to bring everything to a close, with plenty of great additional book-exclusive content. Brawl in the Family: The Complete Trilogy (Digital Download): Normally $24.99, but currently on sale for $14.99!